If you want to keep your work copyright to yourself for a set number of years, let us know an exact date when you'd like to begin sharing it. Would you like to solicit donations or business for yourself or your organization? Provide your pitch here along with any relevant links where donations may be made (for example, via paypal or patreon). Please answer this following question. (It helps us filter out evil spambots.) Thank you! Ever feel like you’ve made something really special that you’d like other folk to use. 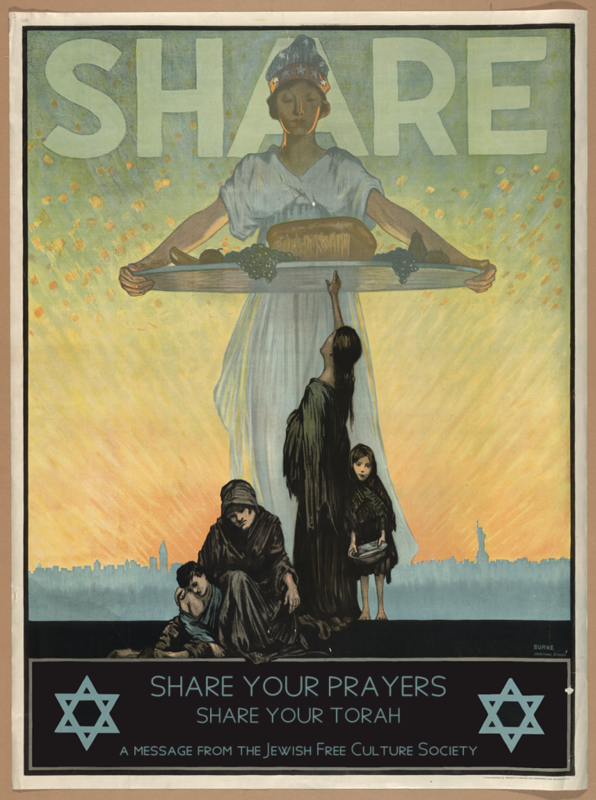 Ever wonder how it might become better known and part of Jewish tradition at large? When you share your work, make your intention clear that your copyrighted work is indeed available for others to adopt, adapt, and redistribute. The Open Siddur Project will help you share any material related to Jewish spiritual practice so long as it is either a Public Domain work or a contemporary work licensed under one of three standard Open Content licenses formulated by the Creative Commons: CC0, CC-BY, or CC-BY-SA. Share your work under the condition that any derivative work (for example, a translation) correctly credits you and attribute your original work. The CC-BY-SA 4.0 International license is a remix friendly, free-culture compatible, copyleft license. It ensures that any work derived from your work must also be shared with this same license, thereby ensuring an unbroken chain of attribution until the copyright term of your work expires and it enters the Public Domain. CC BY-SA licensed works can only be remixed or redistributed with works shared with compatible Open Content licenses (CC0 and CC BY). Share your work under the condition that any derivative work (such as a translation) correctly credits and attributes your original work. Second-generation derivative works (e.g., a reprint of the translation in a newspaper), however, may be shared under any license, including more restrictive licensing, or published under vanilla copyright. The CC-BY 4.0 International license is remix friendly — content licensed under the CC-BY can be remixed with more restrictive Creative Commons licenses as well as with copyrighted work that is not being shared under any open content/free-culture license. By choosing to license your work with a CC-BY, you will legally ensure that your work remains available for others to adopt, adapt, remix, and redistribute. Share your work without any conditions, for example, requiring correct attribution. The CC0 is a Public Domain dedication that states that you relinquish claims on your work during the length of its term under copyright. This license is the least restrictive of all the Creative Commons Open Content licenses. We recommend it only for sharing digital reproductions of work that already exist in the Public Domain. The Open Siddur Project cannot share works that are not licensed under Open Content licenses. Some works are shared with licenses that conflict with Open Content licenses. Conflicting licenses include those which prohibit “commercial” use (e.g., CC-BY-NC-SA), require “educational,” or “scholarly” use only, or which forbid modification or adaptation (e.g., CC-BY-ND). For a decision tree for choosing free-culture licenses, see here.